WASHINGTON DC, WASHINGTON, UNITED STATES, June 30, 2018 /EINPresswire.com/ -- Nowadays, every small or big business have understood the need for custom software to fulfill their specific business desires. At present, there are thousands of custom software development companies in existence all around the world. So, it is important that you choose the right company or it will be a roadblock to the success of your project. 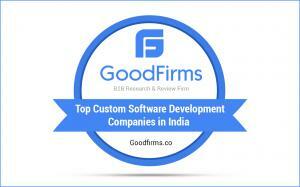 To help you take the right decision, here GoodFirms has revealed the Top Custom Software Development Companies globally based on the positive reviews from clients and considering several key factors.